These cartoon animals and their featured praises are perfect for telling your students how well they have done. 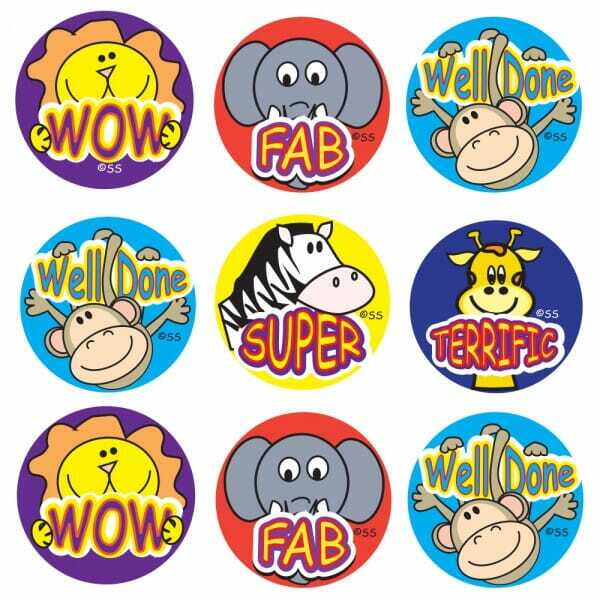 Ideal for adding to homework and tests, these stickers will encourage your students to continue doing excellent work in the future. 180 stickers sold per pack. Customer evaluation for "Bumper Pack - Cartoon animals praise"